I love art deco. Jewellery, fashion, furniture, architecture... love it. Judging by the number of books published on the subject alone, I am not alone. According to Art Deco World, "Melbourne is one of the world's largest and yet most under-appreciated Art Deco cities". Seems the lack of appreciation is closer to home than one might expect. 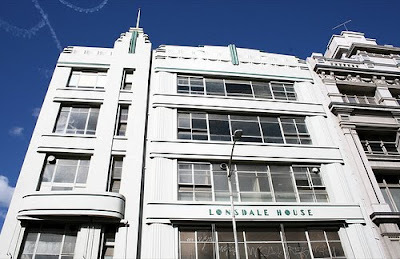 This week I learnt that the City of Melbourne has approved for Lonsdale House to be completely demolished. 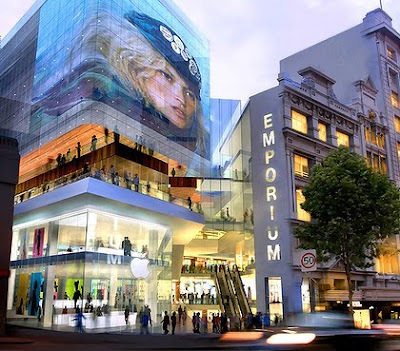 ... be completely bulldozed to make way for this highly unoriginal (Apple shop building in Sydney anyone?) and unmemorable piece of modern disposable architecture. I am not against the idea of another shopping centre, but why not at least incorporate the facade into the new development? 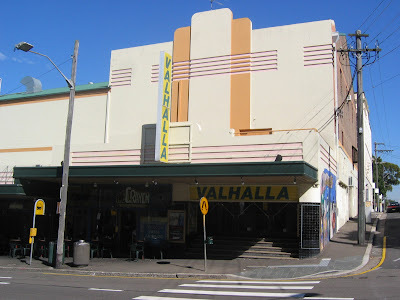 This is heading into Simply Spruiking territory, but I've recently been doing some PR for the old Valhalla cinema in Glebe, Sydney, which has been converted into a series of individual creative work spaces and I truly believe it's a great example of how development doesn't have to equal demolition. An artists impression of how it looks now (I know, I live down the street, I really should have taken a new photo myself). 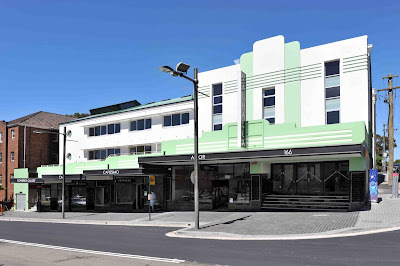 Rather than viewing it as a hindrance, the Valhalla developer, W Property, saw the opportunity to use the art deco heritage to their advantage. The design (by Tanner Architects) included the restoration of the original facade and also incorporated original art deco and theatre features in the lobby and main staircase, while the remainder of the building was refurbished to make way for the 38 office spaces of various sizes. Some windows were added to offer natural light to the offices, but if anything I think this is a welcome improvement. The result has been a huge success (despite an otherwise slow commercial property market over the last year or so), attracting a wide range of buyers and tenants, particularly those in creative industries who are looking for office space with character. The new occupiers are happy, the local community seems happy (I can talk - I also live just up the road), and even the Glebe Society gave its blessing, which is no mean feat. Judging by the negative press and online protests (petition, facebook group, etc) rapidly gaining momentum on Lonsdale House, here's hoping either the council or developer comes to their senses.